PUMA's fitness app PUMATrac was put to test. Is it any good? PUMATRAC reimagines what a tracking and workout app should be like – says PUMA. Does the new app really keep its promise? Did you know? Smartphones were not exclusively invented for selfies, food pics or to look at cat-related content. In fact, there are tons of (useful) things you can do with your phone: You can, for example, access the latest news and weather forecasts, set reminders for your appointments, check in to your next flight – or download a fitness app to assist you with your workouts. An app like PUMATRAC. I have never used a fitness app until about two weeks ago. Since I have been a regular at the gym for a couple of years now and also do some running every now and then (mostly on sunny days, to be honest), I have never felt the need to use one. Then I heard that PUMA was looking for a random customer to test PUMATRAC to get an objective point of view. I became curious and was very happy when I was offered the opportunity to test it. This is what I experienced with the new app. Are you in for some (wild-)cat-related content? Obviously, the app’s central objective is to motivate you to train. Like many other fitness apps, it aims at giving you an extra boost by tracking, collecting data and ultimately providing you with hard numbers regarding your success (such as calorie consumption, running speed, or covered distance). So far, so familiar. What is new is that PUMATRAC adds up-to-date ways to inspire you, for example through a high level of customisation opportunities: A smart learning engine suggests workouts and/or running routes that are tailored exactly to your preferences. What are you interested in? Strength Training, Boxing, Yoga or Ballet? Are you looking to improve your Flexibility & Mobility? Is your training goal to become lean and fit or rather strong, fast and enduring? Are you a beginner, an intermediate or advanced athlete? Whatever makes you move – just tell your app. The more you train with PUMATRAC, the better it gets in putting together the right workout for you. After some time, it will get to know you and only suggest training content that is relevant to your specific needs. It even features a smart scheduler that will remind you to work out when there is free time in your daily routine. Basically, it is a personal trainer that fits into your pocket. Once you have set your preferences, the app offers loads of fitness activities to choose from. Depending on what your goals are, you can check out a wide array of workout packages with melodious names such as “Rise & Shine” (a High-Intensity Interval Training consisting of brief workout periods separated by resting phases that you wish were just a tiny bit longer), “Buddy Up“ (a total-body circuit designed to help you and a friend stay fit together), or the very aptly named “Legs For Days” (a series of pretty demanding exercises for the lower body that will remind you that there is no day like leg day). The workout routines are presented by some people who know exactly what they are talking about. 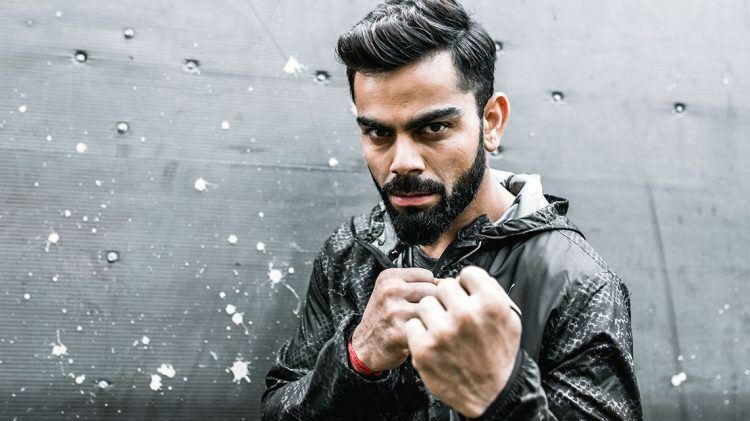 Among the professionals contributing to PUMATRAC are world-class athletes such as F1 star Lewis Hamilton and Virat Kohli, India’s Cricket skipper who has been nicknamed the “Ronaldo of Cricket”. So – does it work? When I first started to familiarise myself with PUMATRAC, I decided to try a workout called “Power Up #1”, an exercise session presented by Daniel “Magic Fox” Fuchs, a German fitness and lifestyle blogger and Instagram star with some 1.5+ million followers (@Magic_Fox). 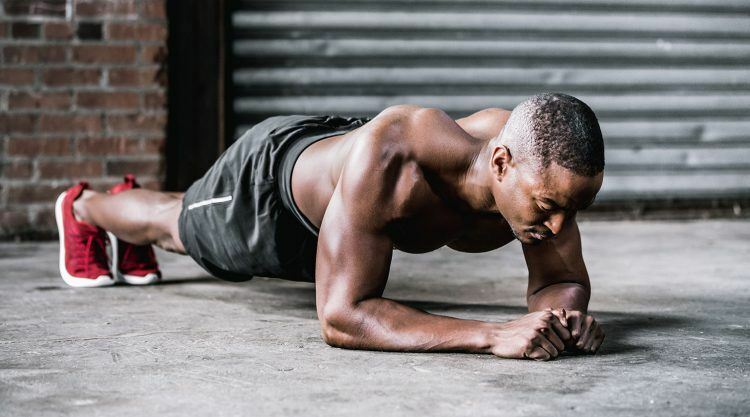 As someone who hits the gym a couple of times a week, I liked both the exercises and the form of presentation straightaway – and, boy, did I work up a sweat. The entire workout (Push-Ups, V-Ups, Squat Jumps, Burpees, Mountain Climbers etc.) is presented via a series of very comprehensible timed videos plus voice-overs. The routine also includes some warm-up and cool-down exercises, two fundamental, yet often overlooked parts of any training program. When I had finished, I felt I had spent the past 30+ minutes very productively. Yet another advantage: You can do your workout anytime and anywhere. What else is great? PUMATRAC lets you access your Spotify or Apple Music playlists, so you can blast your favourite beats while working out. Seriously, try this, it helps! When I work out, I mainly do it for myself. I understand, however, that competing with others can be a great motivation. So, if you are someone who likes to measure athletic performances and compare it with what others have achieved, PUMATRAC definitely is the thing for you. Once you have finished your session, you can share your training results with all of your friends and followers on your favourite social networks. The app even provides a leader board of rankings for different workout routines, so you can challenge yourself to move up. It is also possible to connect with other athletes in your area. In a nutshell: The app functions as a hub with a huge selection of training sets designed by professional athletes and celebrities, mixed with community generated content and – in my humble opinion – just the right amount of encouragement. Am I going to use PUMATRAC as a replacement for my existing sports activities? I doubt it. However, I am confident that it is going to be a good addition to my usual workout routine. Download the app here and find out more about its features. "Boy, did I work up a sweat"
Erik (43) got sweaty when he put PUMATrac to test. He lives in Hamburg and works as a freelance copywriter, helping people and businesses to communicate. If he is not busy finding the right words for his clients, you can assume that he is either at the gym, the movies, a concert, a football match, out on his motorbike or travelling the world. What makes PUMA a great place to work? Yes, we’re a top workplace!